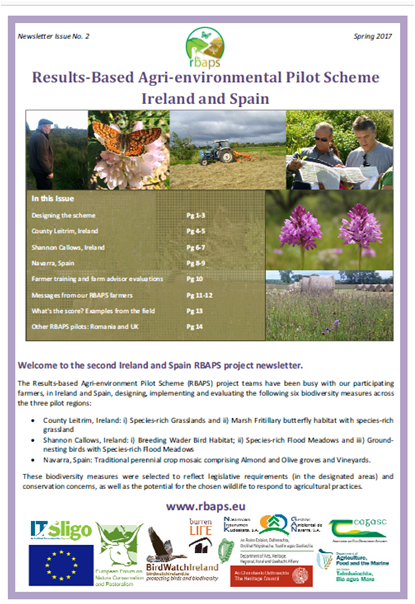 The RBAPS project was a three and a half year project in Ireland and Spain working with farmers and stakeholders developing ways to reward farmers for delivering biodiversity on their lands. The key element of results-based method of delivering payments is that the amount of money paid to the farmer, reflects the quality of wildlife (biodiversity) that is delivered on their farmed land. Result-based agri-environment payment schemes (RBAPS) award payments to farmers on the basis of the quality of the desired environmental outcome that is delivered. This contrasts with the standard ‘prescription-based’ model, where payments are awarded for complying with certain conditions, whether prohibitions or mandatory actions. For example, in a prescription-based agri-environment scheme (AES), a species-rich grassland option might specify certain grazing &/or mowing dates, livestock pressure, fertiliser and herbicide use, with the same payment made irrespective of the subsequent ecological quality of the grassland. With result-based schemes, the habitat condition is scored (e.g. on a scale of 1-10), with the highest payment awarded to the best quality habitat. Assessments are based on objective assessment criteria (indicators), which are chosen to reflect the overall biodiversity and ecological integrity of the habitat while also responding to agricultural management practices. This method is based on the Burren model developed with farmers, farming representatives and ecologists (Parr et al. 2010). Result-based schemes may involve payments awarded solely on results achieved or may be a blended model with payments for ‘non-productive investments’ which support the delivery of biodiversity (e.g. removal of scrub encroaching on species-rich grassland; or creating a chick feeding area on important wading bird habitat); and can be complemented by some prescriptive elements where necessary. 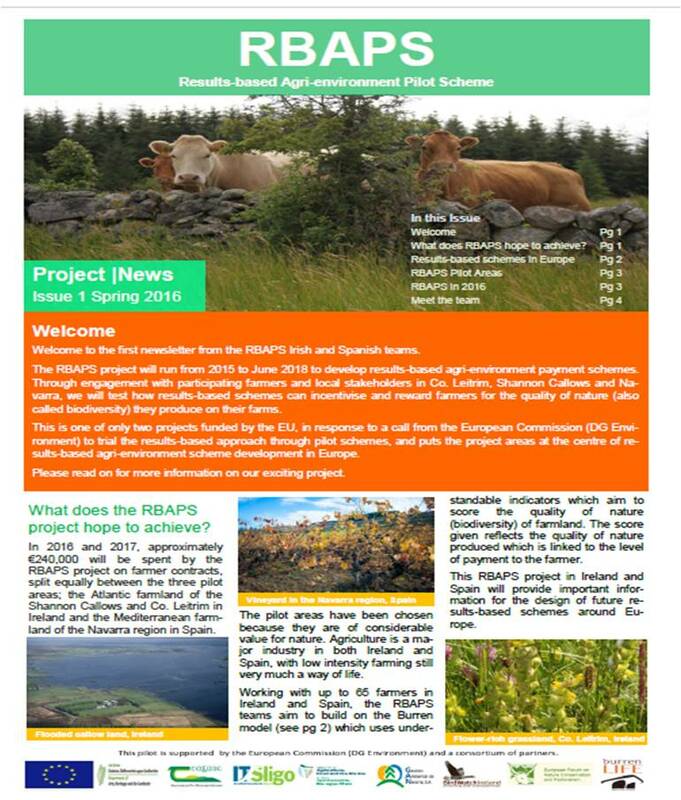 By linking payments to assessment criteria (which indicate the quality of the biodiversity) RBAPS make it financially beneficial for participating farmers to gain an understanding of the conditions needed for delivery of the biodiversity. This creates a new market for biodiversity; where those farmers who better deliver market requirements can be better rewarded. Parr et al. (2010) Farming for Conservation in the Burren. Conservation Land Management; Autumn 2010.